Similar to other drugs, vaccines have the potential to cause allergic reactions. Even after an allergic reaction after a vaccination, it is difficult to ascertain whether the allergic reaction was caused by the vaccine itself or other factors. And, the reduced prevalence of such sensitization in the ‘anthroposophic study group’ does not seem to be explained by delayed or avoided vaccination in early childhood. The current research has been carried out in collaboration with the Vidar Clinic in Järna, Stockholm, which enabled access to a relatively large group of children not vaccinated according to stated recommendations. In this study, the researchers monitored 466 children from birth to the age of 5, with detailed information on the vaccines they had been given and risk factors for allergies. Blood samples were taken at the ages of 6 months, 1, 2 and 5 years for the purpose of analyzing the presence of allergy antibodies towards common foods and airborne allergens. A correlation between a low level of vaccination and a low risk of allergy was observed by the researchers, especially during the first year of life, also after having statistically controlled for socio-economic status and known risk factors for allergy. But when they also controlled for the differences related to an anthroposophic lifestyle, this correlation disappeared. The risk of allergy in 54 children who at the age of 5 were still completely unvaccinated was no longer any different from that in children who had had the recommended vaccinations. 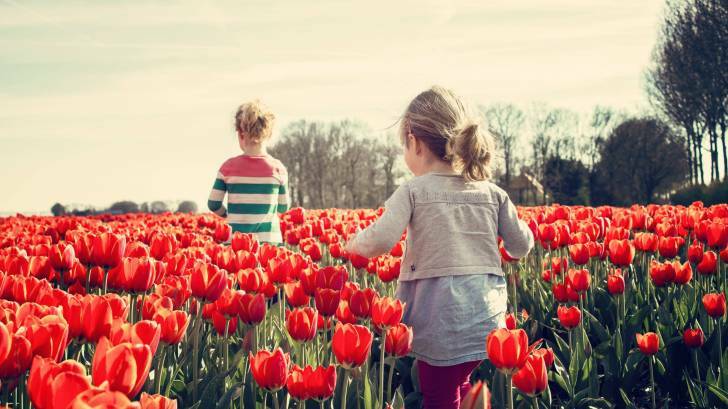 “Our conclusion is that there has to be something else about the anthroposophic lifestyle that causes the relatively low level of allergies,” says Dr. Alm. The study’s strengths are that the children were carefully monitored during their early years and that a significant proportion had not been vaccinated in accordance with the regulations. One weakness of this study is that the researchers did not study the link to actual allergies, only to a blood sample-based, allergy assay. The study was financed from several sources, including the ALF programme, the Swedish Asthma and Allergy Association, the Cancer and Allergy Foundation, the Ekhaga Foundation, FAS/Forte, the Milk Drop Association, the Hesselman Foundation, Karolinska Institutet, the Samaritan Foundation, the TH-Berg Foundation, Thermo Fisher AB, the Swedish Research Council, the Vidar Foundation and the Vårdal Foundation. The study was based on the ALADDIN study, which was launched at Karolinska Institutet in 2004 to study possible environmental and lifestyle factors during pregnancy and childhood that impact the development of allergies and other childhood conditions. Johan Alm has served as a consultant on clinical trials for ALK-Abello. The other researchers did not disclose commercial conflicts: Jackie Swartz, Bernice Aronsson, Frank Lindblad, Hans Järnbert-Pettersson, Annika Scheynius, Göran Pershagen, Johan Alm.